In The Lego Movie, an ordinary Lego piece, “Emmet” (Chris Pratt, voice) is leading an ordinary life in Legoland, following the rules and going about his construction job just like every other day—until he stumbles onto a secret plot by “President Business” (Will Ferrell, voice). The wicked, evil plot: to superglue all of the pieces in Lego universe together, thus squelching creativity and silencing any resistance to his soon-to-be-made-known sinister plans. When President’s opposition finds Emmet, supposing him to be the one foretold by prophecy to free the universe forever, he is taken in, protected, and heralded as the great and long-awaited Masterbuilder. 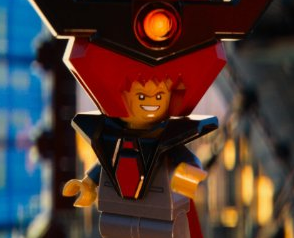 Facing the difficulties in trying to fill that role, a newly made-confident Emmet gets close with “Wildgirl” (Elizabeth Banks, voice), and is taken under the wing of the old and wise “Vitruvius” (Morgan Freeman, voice) and a host of other rather peculiar heroes. As both a movie and an advertisement for Legos, we can’t really debate on whether or not it is exploitative because it does more than just advertise its product. 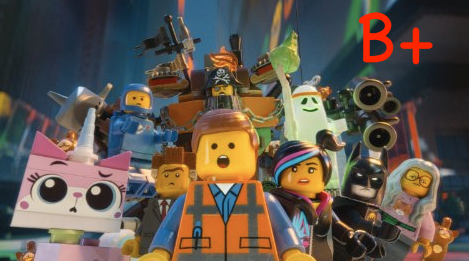 It actually accomplishes something; it happens to be a feel-good movie, but it is also a nostalgia piece, but there is one other thing it is for sure: The Lego Movie is the most over-stimulating release this year! You have to go back quite a ways to find something that matches it in terms of all-out, brain-taxing information overkill. Chock full of well-written quips, gags, and humorous line after humorous line, the slams just keep coming non-stop. The rapid-fire succession of funny stuff is by itself worth the price of admission. Everything from prophecy to pop-culture is up for grabs. 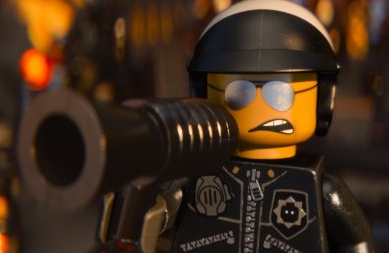 The Lego Movie is a movie like nothing you’ve seen before. Despite some notable flaws and a weighty runtime, it is a damn smart film. One of the criteria for judging kids’ movies is whether or not it speaks to an age range of audience members instead of one small segment, but don’t go in thinking that this is billed for kids. It’s only billed as a family film in the general sense of what is considered acceptable, but it is not for kids. It would, in fact, be too intense for very young viewers at some places while much of what is said at others would go right over their heads. It speaks to that generation that first began to meld their creativity with the toys that made this movie possible. It’s characters…they are as bizarre as you could hope for, with a multi-personality cop (Liam Neeson, voice), a unicorn/kitty “Unikitty” (Allison Brie, voice), “Batman” (Will Arnett, voice), and a host of other personalities that make this the ramshackle mishmash of sensory input that it is—albeit one with enviable voice work (some of the best around). It moves fast – very fast – and because of the no-holds-barred, “cram everything in” nature of the writing behind the project, might even make for a good second watch. This would help since it requires the duration of the film to give audiences time to really grow on the characters. Whether we ever fully do come to love them or not, the viewing gets better the longer we wait. And one need not look hard to see the careful writing and re-writing that went into fitting everything into this endeavor. In the final analysis, a sizable percentage of audiences just won’t be ready for it, or able to handle it, but any film sporting this amount of creativity in the dialog and this much sheer originality in the screenplay can only come away with ultimate success—the kind that, in this case, proves especially touching. It’s a self-esteem builder, and it is not ashamed of that for a moment.